Yep, The Legal Genealogist is back on the road. Next on the schedule is the Genealogical Research Institute of Pittsburgh (GRIP) for the law course Rick Sayre and I co-coordinate… and then off to Georgia for the Institute of Genealogy and Historical Research (IGHR) for Advanced Methodology and Evidence Analysis. 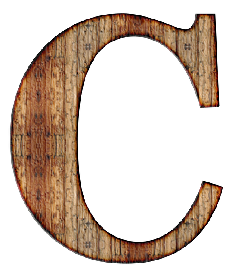 So, for today, C is for “CY-PRES”. No, that is not misspelled. No, it is not a tree. It’s a fairly complicated principle of law that you’ll see come up all the time in all kinds of court cases, but particularly in will contests. The court won’t always use the term cy-pres to describe what it’s doing but here’s the deal. Close but no cigar, huh? Better? Not completely? That rule against perpetuities thing hanging you up? I don’t blame you. I remember in law school reading a case that said the rule against perpetuities was so complex that it wasn’t malpractice for a lawyer to get it wrong. So let’s try an easier example. Think about all the situations where a will just isn’t 100% clear in what the deceased meant. If you read the will provision as meaning A, then the provision isn’t valid. But if you read it as meaning B, the provision is valid, and probably does what the deceased would have wanted. Choosing B instead of A is cy-pres. Lots and lots of these kinds of cases, particularly in probate court. And that’s the letter C, 2017 alphabet soup. This is a very timely subject — Six weeks ago, it was by happenstance discovered that my cousin’s estate had never been settled and that her named successor trustee turned out to be a scoundrel who had died almost a year ago. She died Dec 1998 (yes, 17 yrs ago!) and had made a Trust designating the local “First Christian Church of __” (a Disciples of Christ denomination church at the time) and two Christian Church (DofC) benevolent associations as major beneficiaries, plus a few smaller beneficiaries. Her last years were spent in a CC(DofC) eldercare facility. An additional unfortunate twist is that the local CC(DofC) which she had attended and wished assets go to, split a few years ago. We are being told that because the trust reads “First Christian Church of __”, that that share of assets will most likely NOT go to the local “Disciples Christian Church of __” but will go to the “First Christian Church of __” which is now a non-denomination church. It would appear that perhaps cy-pres should apply here. I hope the church’s share could at least be divided between the two churches. This is just now all unfolding.